RELIABLE AND PROVEN THROUGH PIPE RESERVOIR EVALUATION. 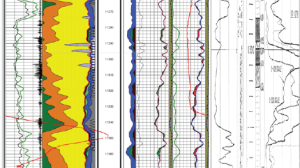 Through pipe (thru-pipe) formation evaluation logging for the global upstream oil & gas sector is at the core of a range of Roke products and services. Our patented Quad Neutron logging technology enables clients to enjoy a uniquely accurate down hole evaluation and remediation experience. Customer driven and technically focused, Roke applies consistent and significant R&D toward development of a wider range of products and services that support our core Quad Neutron technology in expanding global markets. 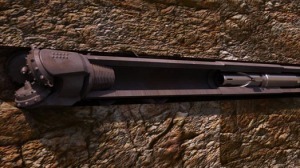 Quad Neutron log measurements are at the center of Roke’s client driven down hole services. Unique and patented, the Quad tool has been field tested in a wide range of harsh environments and consistently provides valuable results. Roke has a long history in assisting operators with Vent Flow solutions. 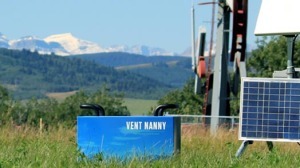 The Vent Nanny, Quad Neutron, and Sound Hound all contribute to an engineered process that reduces time and cost in vent flow remediation.